An exemplar project which would demonstrate that development is possible in areas of significant flood risk, that would contribute significantly to flood mitigation through the flood cell idea, and could achieve at least Code Level 5 Sustainable housing. The floating homes technology used within the proposal demonstrates the potential to provide much needed residential accommodation in flood risk areas without increasing the level of flood risk. 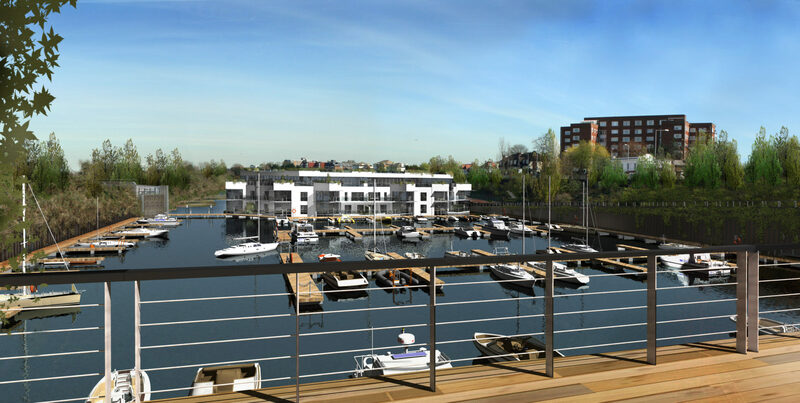 The Floating Structure will accommodate 58 residential units (mix of apartments and town houses) and associated parking. The commercial / leisure and educational uses of the site include Restaurant/Cafe, 90 Berth Marina, Visitor Centre, Education suite, Open space for visitors and River moorings.